Here are some sample practice AWA questions for you! 3. Scandals are useful because they focus our attention on problems in ways that no speaker or reformer ever could. 5. Some people believe that government funding of the arts is necessary to ensure that the arts can flourish and be available to all people. Others believe that government funding of the arts threatens the integrity of the arts. 6. Claim: In any field — business, politics, education, government — those in power should step down after five years. 7. In any field of endeavor, it is impossible to make a significant contribution without first being strongly influenced by past achievements within that field. 8. Nations should pass laws to preserve any remaining wilderness areas in their natural state, even if these areas could be developed for economic gain. Read carefully to indentify the central issue and understand the instructions. Jot down the central theme and your ideas on a piece of paper. Think about examples that can logically support your point of view. Decide on the logical flow of your essay. Keep in mind the ‘introduction-body-body-body-conclusion’ formula. Check for grammatical and spelling mistakes. 1. The following appeared as part of a letter to the editor of a scientific journal. 2. The following appeared as a letter to the editor from a Central Plaza store owner. "Over the past two years, the number of shoppers in Central Plaza has been steadily decreasing while the popularity of skateboarding has increased dramatically. Many Central Plaza store owners believe that the decrease in their business is due to the number of skateboard users in the plaza. There has also been a dramatic increase in the amount of litter and vandalism throughout the plaza. Thus, we recommend that the city prohibit skateboarding in Central Plaza. If skateboarding is prohibited here, we predict that business in Central Plaza will return to its previously high levels." 3. The following appeared in a letter from a homeowner to a friend. "Of the two leading real estate firms in our town — Adams Realty and Fitch Realty — Adams Realty is clearly superior. Adams has 40 real estate agents; in contrast, Fitch has 25, many of whom work only part-time. Moreover, Adams' revenue last year was twice as high as that of Fitch and included home sales that averaged $168,000, compared to Fitch's $144,000. Homes listed with Adams sell faster as well: ten years ago I listed my home with Fitch, and it took more than four months to sell; last year, when I sold another home, I listed it with Adams, and it took only one month. Thus, if you want to sell your home quickly and at a good price, you should use Adams Realty." 4. The following appeared in a letter to the editor of the Balmer Island Gazette. "On Balmer Island, where mopeds serve as a popular form of transportation, the population increases to 100,000 during the summer months. To reduce the number of accidents involving mopeds and pedestrians, the town council of Balmer Island should limit the number of mopeds rented by the island's moped rental companies from 50 per day to 25 per day during the summer season. By limiting the number of rentals, the town council will attain the 50 percent annual reduction in moped accidents that was achieved last year on the neighboring island of Seaville, when Seaville's town council enforced similar limits on moped rentals." 5. Arctic deer live on islands in Canada's arctic regions. They search for food by moving over ice from island to island during the course of the year. Their habitat is limited to areas warm enough to sustain the plants on which they feed and cold enough, at least some of the year, for the ice to cover the sea separating the islands, allowing the deer to travel over it. Unfortunately, according to reports from local hunters, the deer populations are declining. Since these reports coincide with recent global warming trends that have caused the sea ice to melt, we can conclude that the purported decline in deer populations is the result of the deer's being unable to follow their age-old migration patterns across the frozen sea. Read the passage carefully to identify the conclusion and the premise. Scan the passage thoroughly to identify assumptions and jot down the false generalizations, misleading statistics or evidence that is not adequate. Develop your own explanation to the arguments presented in the essay. Use the ‘introduction-body-body-body-conclusion’ formula to structure your essay. End with a through scanning to identify and correct grammatical and typing errors. We hope your practice sessions will go a long way in getting perfect AWA scores. Here’s wishing you all the best with your preparation! 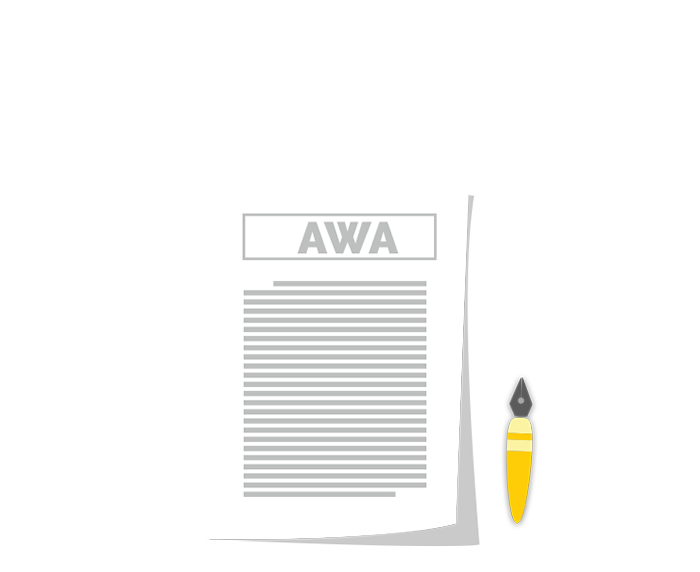 Want to get the keys to writing perfect AWA essays? Download the exclusive GREedge guide to doing just that, now!